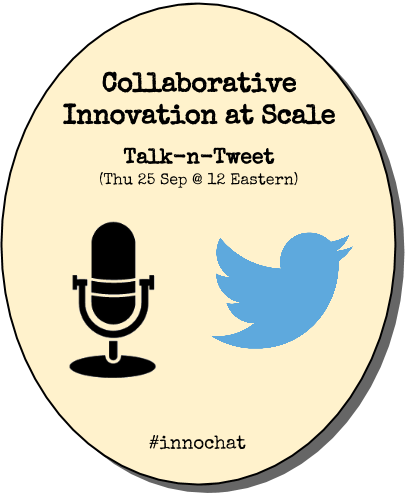 The area of collaborative innovation is a natural extension of the social business movement. It’s the extension of social into purposeful collaboration, a term Alan Lepofsky uses to describe the evolution of the social business market. How important is it to get diverse people to contribute to innovation, vs. singular creatives to generate innovations? Doesn’t Steve Jobs point to the primacy of singular genius? What is the model for cognitive diversity to generate innovation outcomes? What differentiates sharing in large groups vs. small teams? How much does familiarity mean trust? How to handle different personalities that will intersect? In environments where employee skepticism reigns, how do you change attitudes to open up sharing? What are the ways in which skepticism can creep in? What is the #1 issue that must be addressed? What are motivations for employees to contribute to an innovation program? How much does “what’s in it for me?” come into play? What are the intrinsic and extrinsic motivations? 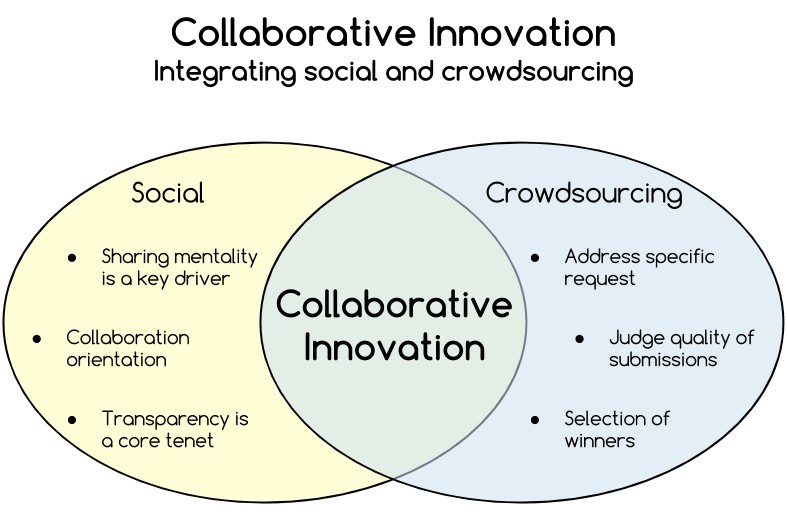 What techniques help drive participation in crowdsourced innovation programs? What influence do senior executives have? What influence does peer participation have? How can gamification drive greater participation? It was a thorough, fast-paced discussion. If you’re considering crowdsourced innovation programs, it’s worth a listen. I’m @bhc3 on Twitter and I’m a Senior Consultant with HYPE Innovation. I look forward to hearing your take on this issue. Adoption is about transforming human behaviors at work – More folks are starting to recognize that it is not trivial to bring communities and other social environments to life. ‘Let’s get beyond “adoption”’ – This was another sentiment I heard several times, but I attribute it to short-attention span. The general statement was ‘adoption’ was last-year’s thing, and we needed a new ‘thing’. If you have to “drive adoption” you’ve failed at 2.0 design and implementation. The fundamentals of 2.0 are based on design that is organic — meets the individual where they are and adapts based on feedback — it emerges. The ‘adoption’ comes from rigorous ‘adaptation’ — it continuously morphs based on involvement from the ‘masses’. If done right, you can’t keep them away…because you’ve brought the scratch for their itch. While I empathize with her design-driven perspective, I personally find there to be more to people’s adoption patterns. Sometimes the superior design does not win. Existing network effects may prove a high barrier to adoption of something new. Embedded history makes the current approach valuable. And other reasons intrude. In considering adoption, we have the push strategy (by management), and the pull strategy (viral, organically spreads). Both are viable approaches. The key factor is to determine when each needs to be employed. The two key factors in the framework are user-centric and organization-centric. Users will overvalue existing products/solutions by 3 times, and undervalue the benefits of a new products/solutions by 3 times. We’re for the most part risk-averse (e.g. technology adoption lifecycle is back-end loaded), and giving up existing ways presents a level of uncertainty. It’s the devil we know versus the devil we don’t. We place a value on the certainty of current methods, even if flawed. The other part of the 9x equation is that users will place an uncertainty discount against new products/solutions enumerated benefits. Yes, it’s true. We don’t always buy everything we’re told. 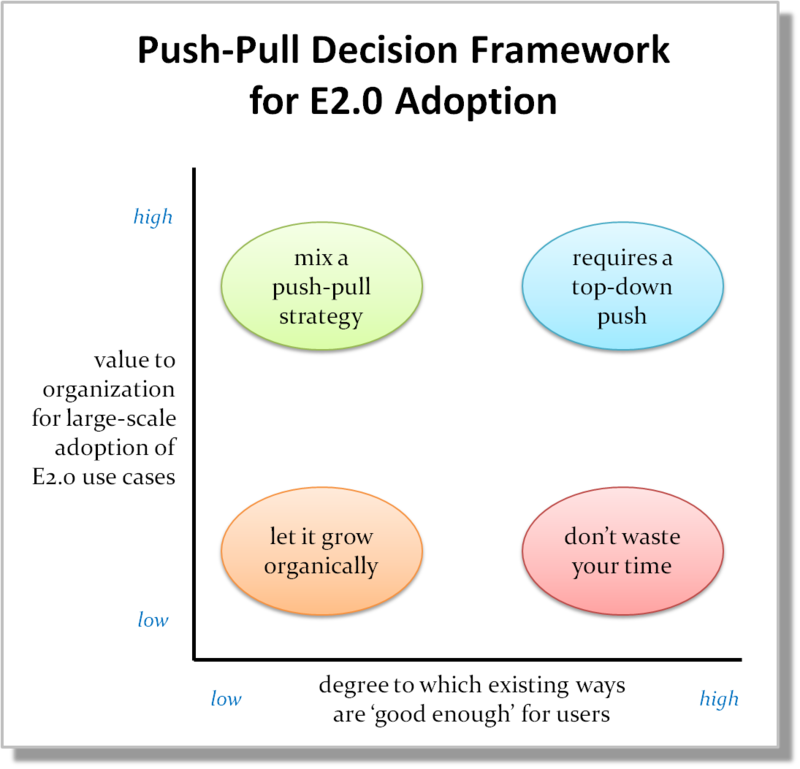 The Y-axis speaks to the value of E2.0 to organizations. Certainly there will be use cases that can drive high value for the organization. And just as certainly, there will be those use cases that contribute little to organizational value. Let’s run through the different approaches mapped on the graph, clockwise from top right. What might this be? Imagine management has seen too many examples of people missing key information and connecting the dots well with others are working on. An enlightened C-level type knows there is an opportunity to pick it up a level. 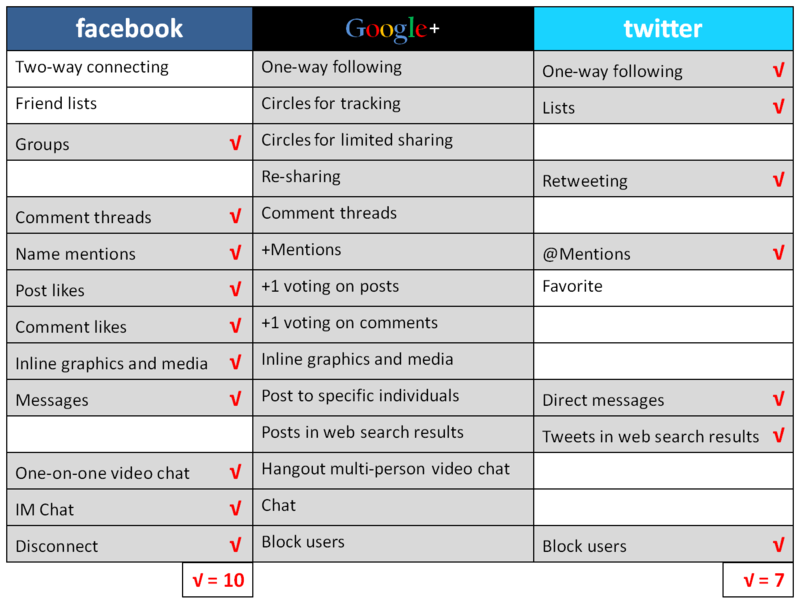 So some sort of social software – e.g. wiki, collaboration groups, etc. – is selected to make this a reality. But guess what? People keep emailing to one another and saving docs to the LAN. Why? Because those are the tools they know, there is no learning curve and everyone operates on a shared set of processes and assumptions. Things work “as is”. This is where management needs to wield its power, and come up with ways to influence employees to alter their entrenched behaviors that work “good enough”. This is the home run of initiatives. Solves a “what’s in it for me” need of individuals, while also presenting a great chance to advance the value of the organization. An innovation platform is a good example here. A place for individuals to express those ideas that fire them up or just plain solve annoyances. Which get lost in the email inbox. But the opportunity for new ideas that deliver to the bottom line gets management’s attention. Pull works here, as word spreads about the initiative. But management has an interest in making sure everyone is aware of the initiative, as soon as possible. Push tactics are good supplements. This is a tough one. Clearly the “Enterprise 2.0 way” can solve a problem for employees, but its adoption cannot be seen to lead to high impact on company value. An example here? Hmm…tough one. Enterprise bookmarking might be one area. Solves the, “how do I find things?” conundrum, for me personally and for others. But hard to see just how it will increase firm value. At least on a standalone basis. Best to let these initiatives grow of their own accord. Let their value emerge, often with stories. Suffice to say, this one should be killed before it ever starts. From the home office on the Gulf Coast, where I just have to note that you never hear about “sunshine spills” or “wind slicks”. #8: RT @Renee_Innosight Yes! RT @MARTYneumeier: The secret to collaboration is finding a rhythm that alternates between team creativity and individual creativity. #9: NBC’s Parenthood cracks me up. Love it. Until it inevitably jumps the shark somewhere along the line with a “very special” Parenthood.